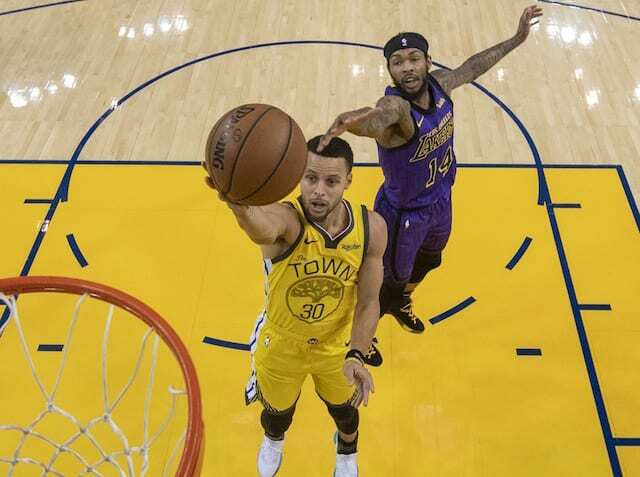 NBA officials announced will interact with fans during the Los Angeles Lakers game against the Golden State Warriors on Martin Luther King Jr. Day. Fans can tweet @OfficialNBARefs or use the hashtag #RefWatchParty to interact with referees who will have access to the Twitter account during both the Lakers-Warriors game as well as the contest between the Philadelphia 76ers and San Antonio Spurs. The league originally tried this out last year during Game 3 of the NBA Finals and it received positive feedback, leading to it being brought back this season. The NBA and and the referee union have worked in collaboration on this project and have more upcoming games scheduled to do the same thing, including playoff games. The officials tweeting will also have access to the NBA Replay Center, so they can see every replay angle that the officials on-duty will have access to as well. The Lakers have had their issues with officials lately. In last week’s win over the Oklahoma City Thunder the officials admitted that they were wrong in awarding Russell Westbrook three free throws on an intentional foul by Lonzo Ball that allowed the game to go to overtime. 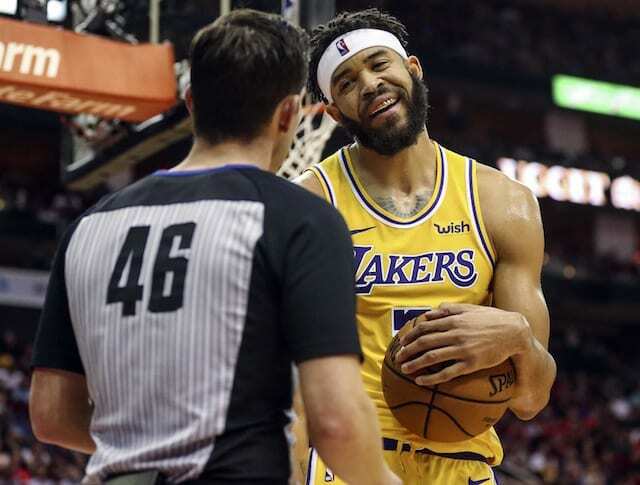 If anything happens in this contest, the Lakers fans will have full access to let the referees know how they feel and there is little doubt they will do exactly that.